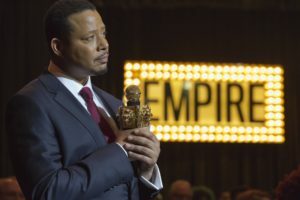 On this week’s episode of Empire, Lucious makes it his mission to get back into his company and claim the throne as CEO of Empire. I cannot believe what I’m seeing. Thirsty is actually pulling a hair from little Lola’s head?! What is this skinny man up to? Ew. I do not like Anika playing the nice housekeeper and taking care of Rhonda. She politely escorts herself out of the room when Andre comes to visit, but I’m not buying her act. Anika starts vomiting in the toilet and Rhonda and Andre rush to see what’s wrong. At first she says she doesn’t want to tell them why because of what they went through, but that’s a lie. When Andre asks who the father is, Anika has no problem saying it’s Hakeem. She had this all planned out, I’m sure of it. Now that Cookie knows who Freda really is, she doesn’t want her sons around her. She tells Lucious that she’s dangerous and knows that he killed her father. 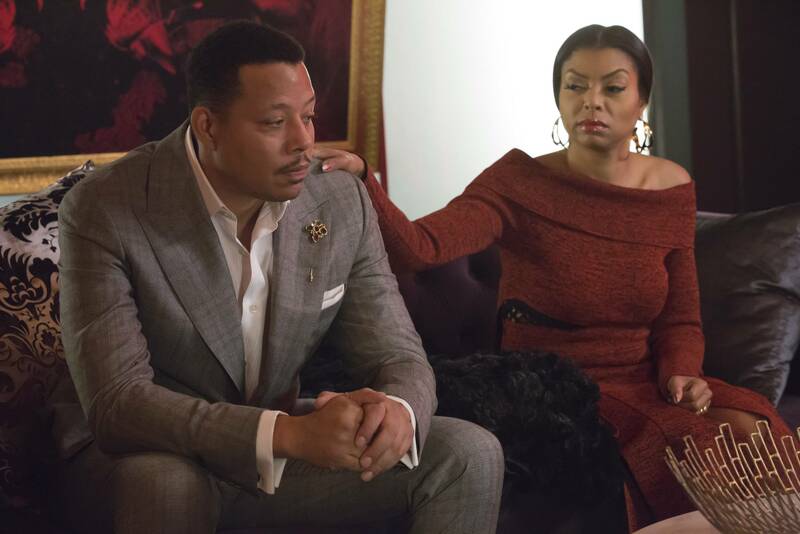 Of course Lucious denies everything, but Cookie knows she needs to watch out with Freda. And she’s right. Freda started punching a guy on the floor because he wasn’t respecting her father’s place in a barber shop. Even if I were a guy, I wouldn’t want to mess with Freda after seeing that fight. Lucious loves to play dirty. 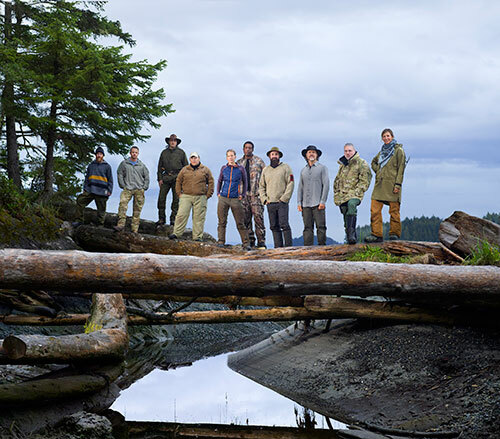 Now that he has people eating from the palm of his hand with his new little Dwight Walker music video, he’s making his move to take back Empire. He makes Thirsty and his men steal all of the new clothing that Camilla was working on. That was supposed to be a huge deal for Hakeem and Empire but now it’s driving away in the back of a van. Oh yeah, and Lucious planted drugs on the trucks carrying equipment for Tiana and Mirage a Trois’ concert. 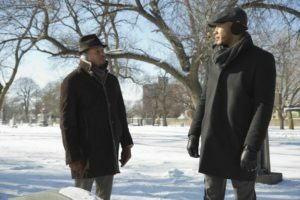 Andre pays a visit to his grandmother’s grave with Lucious. Instead of this being a touching moment, Lucious has to make it about himself. When isn’t it about Lucious? He tries convincing Andre that he would be the best to run Empire by saying the two would be able to run it together again. Will Andre take the bait? Cookie helped set up for Jamal to do a song with Stacey Run Run, who has a strict rule: No other female rappers can be on the album. That means no more Freda. It seems that Freda took the news pretty well, but we’ll see how long that lasts. Andre called for a family meeting and I think his special guest is going to drop a bombshell. Yep, it’s Anika! She reveals the news and Cookie isn’t having it. She’s also not happy with Rhonda when she tells the Lyons that she’s the one who begged Anika to keep the baby. Ouch, Cookie! Lucious comes in with another bombshell about the only heir to the Lyon throne. Turns out Lola isn’t really Jamal’s daughter. Anika says she’s trying to make amends and only wants for her child to have a family. 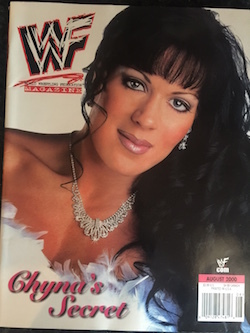 She may have had her pearls on to look more mature, but I don’t think that’s all Anika wants. I can never trust this woman. 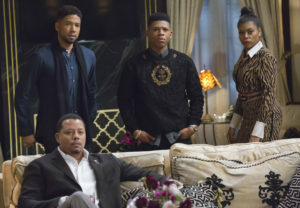 Lucious returns the favor and pays Anika a surprise visit at her home. He tells her that he wants her to take good care of herself and have the baby. Once the baby is born, he wants her to hand the baby over to Hakeem and then she’ll receive a check for $10 million. Anika says she doesn’t want his money, but thinks the price could be higher if she was interested. Anika threatens Lucious that she’ll go to the police if he doesn’t leave her alone about his offer. Since she’s revealed she’s having a boy, Lucious is even more interested in the baby; however, Lucious is not one to mess with. He threatens Anika right back and basically says he’ll kill her if she tries going to the police. All Anika is good for is carrying and delivering that baby. 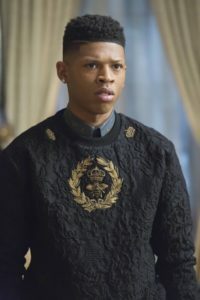 At an event for the shareholders of Empire, Lucious shows up and makes a fool out of Hakeem. He wants to prove that he’s the only one who can truly run Empire and it seems that he’s getting Andre’s help. Somehow Lucious is able to get the entire crowd chanting “Lucious,” making Hakeem look like a poor, pathetic boy. However, it’s Lucious that’s acting childish. Cookie comes in to save the day and tells the two that they can no longer fight. She has them shake hands in front of everyone to show that they’re still a family at the end of the day. If they only knew the truth. The board ended up voting Hakeem out and putting Cookie in. I’m not mad. 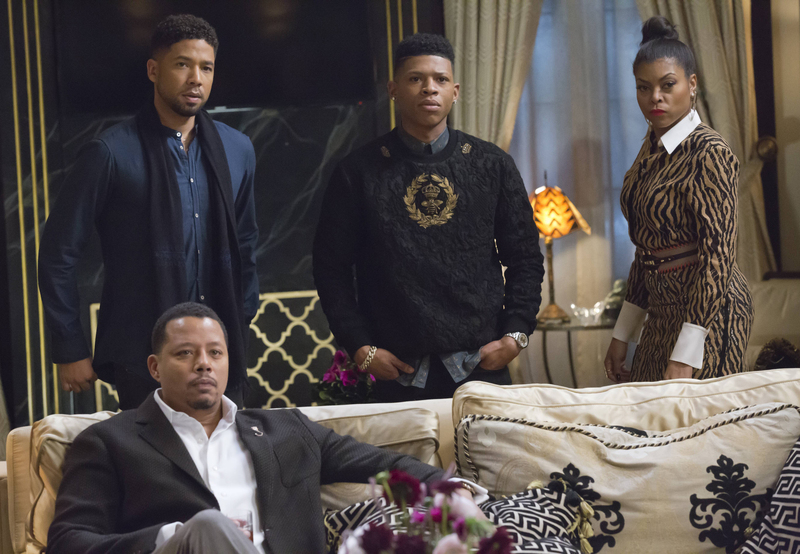 This is all a part of Lucious’ plan to get back Empire back. I have a feeling that will happen very soon. Stacey stands Jamal up during their first recording day, but she managed to send over a recording of her tracks. Jamal goes into the recording booth to try and work with it but it’s clear he’s not able to do it. He needs Freda and he’s not afraid to pick Stacey over Freda. Jamal goes to the barber shop to get Freda back. He tells her that he doesn’t feel the same when recording unless it’s with her. It’s real and for a reason. Oh boy, what is Thirsty up to now? OMG! Lucious’ mother, Leah Walker, is still alive! So what about that new Dwight Walker music video? It’s all a lie?! 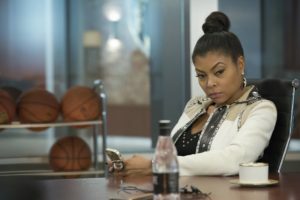 What were your thoughts on this episode of Empire? Do you think Hakeem getting voted out was the best decision? How long do you think it will be until Lucious gets back into Empire? I wasn’t surprised to find out that Lola wasn’t Jamal’s daughter. I was more upset because they shared a special bond. What do you think Anika really wants? Is she telling the truth about not wanting any money and only a family for her child? I think it was rude for Stacey to not be there when she was supposed to record with Jamal. Do you think he should try to win Freda back? Leave your thoughts in the comment section below. New episodes of Empire premiere Wednesday nights at 9/8CT on FOX. Cory Monteith, the troubled star of FOX’s hit Glee, was reportedly found dead in a Vancouver hotel room Saturday. Monteith, who played jock singing sensation Finn Hudson since the show debuted in 2009, was 31. No cause of death was revealed, but police ruled out foul play. Monteith had checked into rehab earlier this year for substance abuse and had a history with drugs that stretched back to his teens.